Contact FormCalendar of EventsPhoto GalleryDo you need help? We meet every Sunday at 10am and every Thursday at 6pm for Fellowship followed by teaching at 6:30.
at 625 Barefoot Boulevard, Building A in Barefoot Bay. Proclaiming God's grace, Every day. Every Way. We welcome you to be a part of our Grace Gathering family! We aspire not to be your average church but to be a family! We have a very relaxed atmosphere in which we encourage worship, fellowship, and relationship with God first, then each other. We are very easy going and down to earth people. Yet we are very serious about God’s love and things of the Spirit! We are also very flexible and welcoming to each and every person! All are welcome from all walks of life. Though we do walk in and stand uncompromisingly on the Gospel, (no self-righteous judging here!) You are free to grow and learn at your own pace, not under the “spotlight” of pressure. There are no membership forms, or forced pressured giving. You just “plug into the vine”! We aspire to include any and everyone and our desire is to help and serve you in any way we can. Our goal is not to manifest religious “services” but to come together as family in “meetings” as the early church considered them. Our goal is that each and every person comes to salvation and has a fruitful relationship with God. We aspire to manifest the “real” Jesus as He walked the earth and ministered. Not the “religious” Jesus that is often portrayed to the world. We want you to encounter Him, the living Christ. That is where real change happens, not by following religious “rules” and traditions. We simply reveal the “good news” of the good news (the Gospel) and God takes care of the rest! We look forward to fellowshipping with you. Blessings! "A place where you will come to know the tender heart of the Father toward you as well as the perfection of Jesus' finished work. Expect to experience the amazing love and grace of God as you feed on His word. 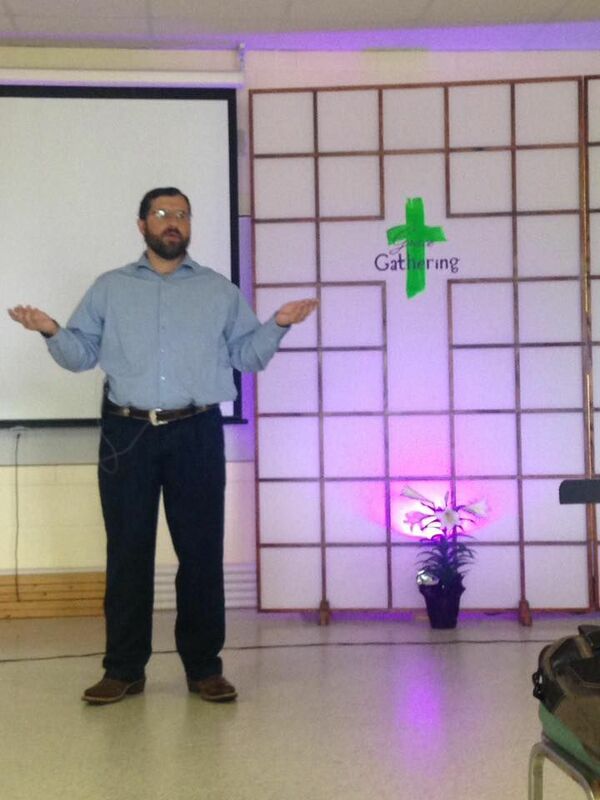 As Pastor Eric preaches the unadulterated gospel of grace with boldness. He believes the best in people and is committed to helping them discover they can Reign in life through the abundance of grace and the gift of righteousness." "This church teaches you about the love and grace of Jesus Christ. The abundant love of Jesus is taught and felt. If you want to know the rest of the gospel this is the place to learn. You will look at "religion" completely different. Set yourself free, come and see what Jesus meant when he said it is finished." "This is my home church, the atmosphere is great, the people are loving, and our Pastor is awesome. If your looking for a church that you feel at home in and hear good music, and a powerful message then this is the church for you. Come on out service starts at 10:00am."